Cupcake the perfect complement to tea or coffee. It is also important that it can be very fast to bake. In order to quickly bake a cake, you will need: 4 eggs half Cup of sugar, 250 g margarine, 2 cups (plain, faceted) of yogurt, salt (pinch), one teaspoon soda, vanilla, flour. Cooking. Extinguish soda with vinegar. The margarine melt in a water bath. Whisk the eggs with the sugar, yogurt, margarine (by the way, instead of yogurt you can take a Snowball, yogurt with sweet beverages flavor baking is more delicate). In the mixture add salt and repaid soda, flour (flour should be enough to adze it turned out like pancakes). Pour the dough in a greased form with margarine and bake at 200 degrees Celsius. 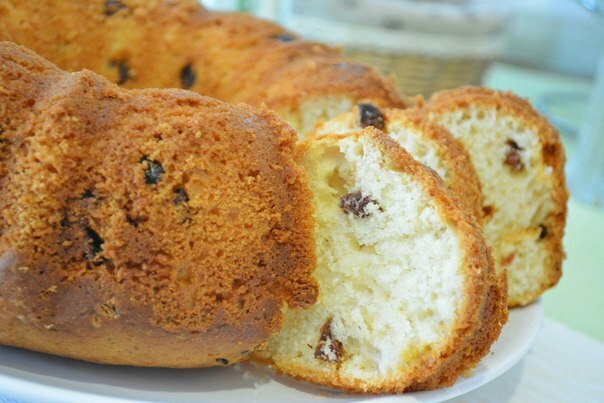 To diversify the cakes, you can add to the dough raisins or other dried fruits (e.g., prunes or dried apricots, cut into pieces), and orange or lemon peels, various nuts (walnuts, peanuts). If you want to add the nuts before rolling them in dough, mash them to your liking. Before serving, sprinkle the cake with powdered sugar or cocoa with sugar. Tip: this cake can be used as a base for the cake. After baking, cut it lengthwise, into two Korzh and miss any cream.